Please note that the probation officer's voice mail is not intended for the routine use by probationers. It should be used to report an arrest or a conviction for a new charge. Leaving unnecessary or repeated messages will be considered a violation of your probation. The clerks are not probation officers. The clerk's office does not maintain a probation file or schedule, or any other information about your probation. As such, do not seek information regarding probation matters from the clerk's office. Repeated contact with the clerk's office shall be considered a violation of your probation. If you are on reporting probation you must report for probation on the date and at the time assigned to you. Report to Clerk's Office of the Marysville Municipal Court. Complete a probation report form located on the counter. Upon completion of report form report to the Probation Office located in the courtroom. If you miss a reporting date for any reason, do not report on a different date. Instead, promptly write to your probation officer with an explanation for your failure to appear and request a new reporting date. 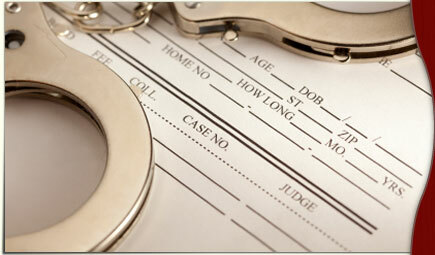 If you receive a Notice of Probation Violation, you must personally appear in court on the date and time given. Your rights at the probation violation hearing will be given to you by the Judge. Your failure to appear will result in the issuance of a capias for your arrest. If you are unable to pay fines and court costs or complete a condition of probation as ordered by the Court, you may file a modification request form to ask the Judge for additional time. The form is available in the Marysville Municipal Court Clerk's Office. There is a $10.00 filing fee per request. There is no guarantee your request will be granted. You must show proof that you have done everything possible to comply. Just saying "I need more time" is not enough. If anything delays or interferes with compliance with the Court's order, you must timely file a written request asking the order be changed. Timely means at least seven days before the original deadline set for completion. Do not put it off until it is too late and then expect to get some order changes or get more time to comply. Only the Judge can modify your sentence and the sentence remains in effect until the Judge signs a new order and it is filed with the clerk of court. You should not file one day and expect it to be ready the next day. Has anything been paid toward fines and/or costs? How many hours of community service have been completed? Is the defendant regularly attending counseling or other ordered programs? Has proof of restitution been shown? Restitution is a critical issue. You are more likely to get additional time to pay fines and costs than more time to repay victims. Has a probation or show cause notice been filed or received? Have there been any new violations of law committed since sentencing in this case? Has there been previous modification for the same reasons? Has this request been made and previously denied? Is there enough time left under the court order for defendant to timely complete the required condition? Has defendant done everything possible to comply with courts order?